Derided sniffily by some, Apple's massively popular media library app is still going strong. Regularly updated, it'll now handle your pod and vodcasting needs, talk nice with your iPod, and allow you to make all manner of devastatingly poor post-pub buying decisions via the iTunes Music Store. DRM is a problem though, as moving your MP3s after buying them can be as much fun as hand-feeding a velociraptor. 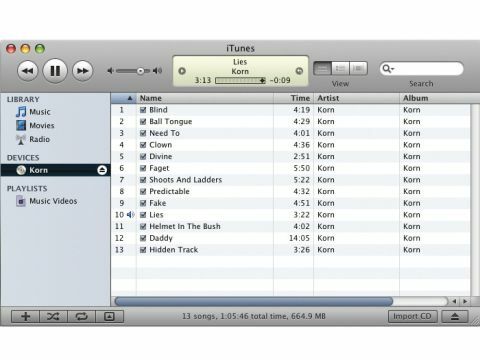 But in the main, iTunes just works - no fuss, no drivers, no clunky menus; it just lets you get on with it. Amen to that.